Cloud CV4250 - 4 Channel 70/100v Digital DSP Amplifier. 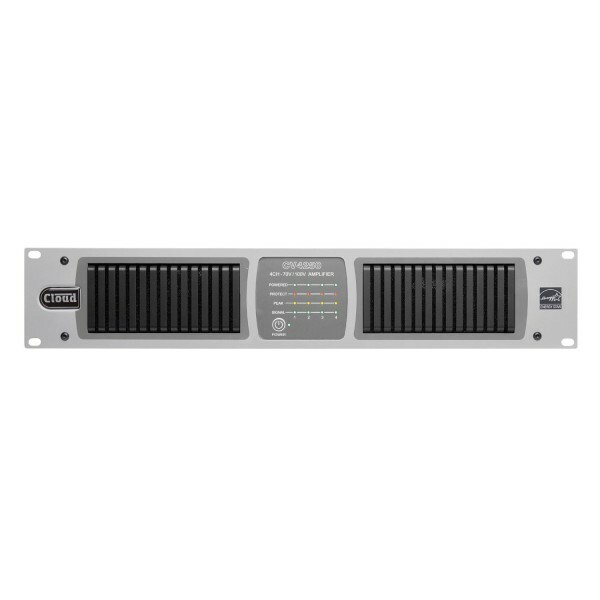 The New CV Digital Class-D Multi-Channel Amplifier Series from Cloud Electronics provides a range of feature- rich functions for commercial audio installers and users alike. 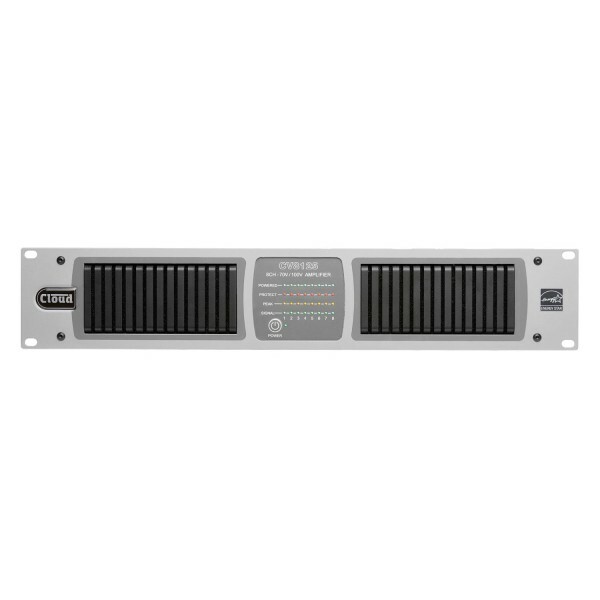 On-board configurable DSP, a host of remote / third party control options and with simple non-network set-up via rear panel DIP switches the new CV-Series Multi-Channel Amplifiers are designed specfically for commercial use in Retail, Leisure, Hospitality, Commercial and Industrial applications. Flexible Output: All models in the CV-Digital series offer a total power output capability of 1KW, shared across the amplifier channels. This flexible approach allows a single, multi-channel amplifier, to drive loudspeaker systems differing in load size, in different areas of a building or venue, whilst optimising overall power output capability. Energy Star: The new CV-Digital series amplifiers have been designed to be Energy Star compliant. Automatic Power Down, triggered if an input signal is not detected for thirty minutes, reduces power consumption to just 2.5 watts. Remote control of the power down state is available via an external contact closure. Ethernet / DSP: A full suite of user configurable DSP functionality is on-board the CV-Digital series, which includes input routing, multi-band parametric room and speaker optimisation EQ, output level control and limiting, and 1.5s of assignable delay. Amplifiers can be easily set up for multi-channel or parallel channel operation and bi-amping, with full control of crossover parameters. Auxiliary Outputs: Providing the same DSP power as the normal amplifier channels, the auxiliary outputs can be configured as traditional slave outputs, or used as independent signal processing and routing channels. Analogue and Digital Control: The CV-Digital series amplifiers are compatible with standard Cloud RL Series remote level control plates. DSP parameters are accessible via RS-232 and Ethernet, for interfacing to third-party control systems including Crestron, AMX, Control4 etc. A 3-way GPIO port can be configured for external master mute and fault condition signalisation.